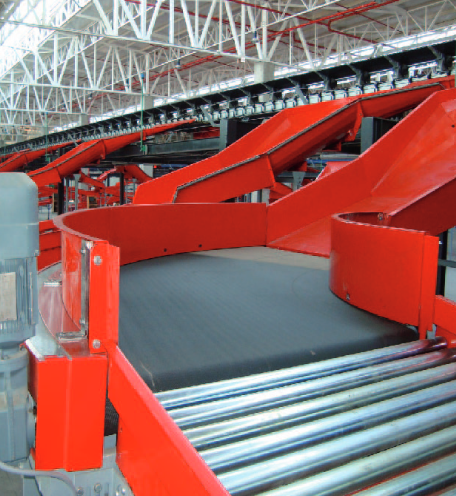 For 40 years ALFYMA proposes you a unique offer allying, competence, experiment, reliability in the design, the realization and installation, and maintenance of conveyors carousels , curves and conveyor belts, sortings to luggage, posts of inspection, filtering and integration of safety machines for the airport industrial sector. Every airport is different – forced by setting-up, average and immediate flows, statutory taxations – that is why our engineers make every effort to propose the best solution to your projects, to your needs as well as the interfaces to already existing systems. Alfyma creates or modernizes your installations to allow them to last in time, offering you the insurance to perpetuate the trust of your customers and the safety of your staff. In case of emergency, Alfyma it is also a permanent stock of more than 5 000 references immediately available, the biggest press of France to your service and the reactivity of our technicians and installers that intervene within three hours on your installations 24 hours a day and 7j / 7. The engineers Alfyma conceptualize, settle and schedule the interface operator of your system of control for the traffic of luggage, supply you tools the most sophisticated regarding simulation and regarding analysis for a complete and secure vision of the routing luggage of your customers. Whatever is the size of your project, Alfyma accompanies you in every stage of the elaboration for the most high yield possible of your investment. Alfyma and your ambitions take off. We conceptualize and make every day, the installations and the equipment required for it. We insure the maintenance and the highest level of production of your sites. We have more than 5000 immediately available references on all the territory national as abroad. Our teams are competent on all the types of installations, that we are the designers or not, 7 days a week, and 365 days a year. A solution provider for Aéroports de Paris (Paris Airports) for over 35 years, ALFYMA designs, constructs, installs and repairs airport conveyor systems of all shapes and sizes. 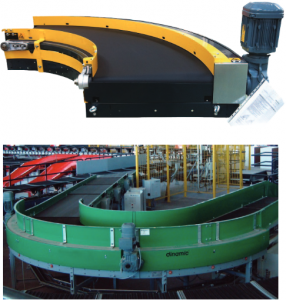 Check-in conveyor belts, carrousel belts, curved conveyors, mechanical and electro-mechanical engineering, automated systems technology… Alfyma takes care of all your project needs. ALFYMA provides global expertise, allowing you to work with absolute peace of mind. Today, ALFYMA constructs complete baggage processing lines and carrousels for French and international customers. As your single point of contact, ALFYMA ensures contract design, installation and maintenance for airport systems, with rapid, on-site service, 24 hours a day, 7 days a week all over France. 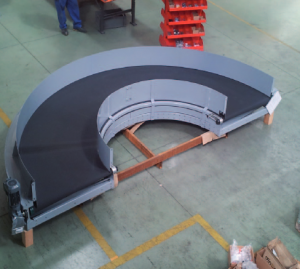 > New Riveted Chain Technique, possibility for straighter slope angles, reduction in wear and tear and noise, large range of motors and spouts, angles ranging from 13-359°… This allows ALFYMA to pass significant technical benefits on to you, optimizing the lifespan of your installations and the pace of your conveyor systems. Alfyma also specializes in the design and installation of “cherry belts” that help secure baggage claim areas while complying with the latest international safety regulations. Our technical teams are always available, 365 days a year. 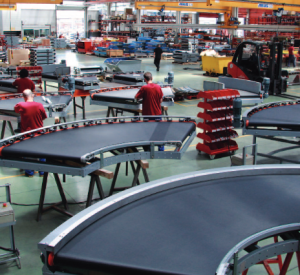 We make the proper functioning of your production lines a top priority to help you achieve maximum performance and optimal profitability of your installations. We hold true to this commitment, because we know that your success helps you build confidence in our services. We work with you in total transparency, offering you the maintenance and support services that best meet your needs: corrective action, emergency call service, operational support, supply of spare parts.